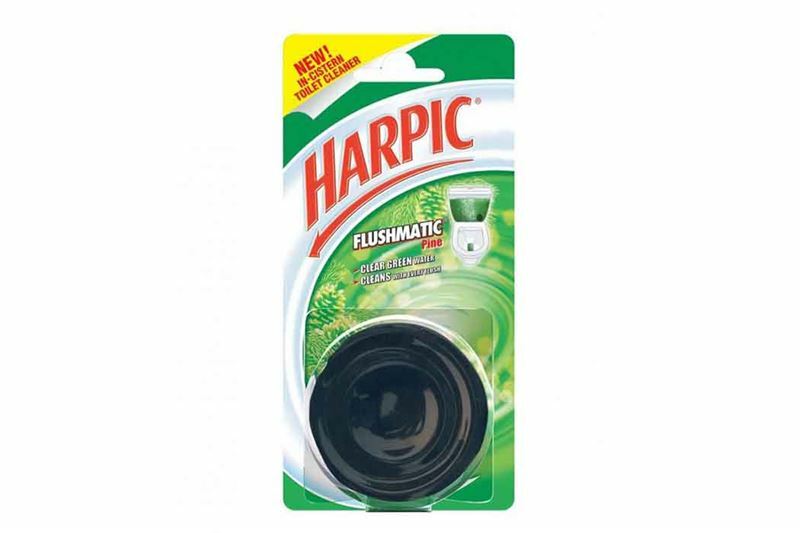 Harpic Flushmatic is a drop-in tank tablet which can be used for any accessible cistern. It works by creating strong foam every time you flush the toilet, which helps maintain the cleanliness and disinfection in the toilet bowl. It works from inside the cistern to release a dose of powerful detergent with every flush. Distributing the liquid across the bowl, it helps you maintain a hygienic and deodorized toilet and prevents the build-up of stains giving you a continuous clean toilet. Also, it lets you know when it needs replacing as the color of the flushed water starts to fade. It is safe to be used with septic tanks and all other toilet cleaners.